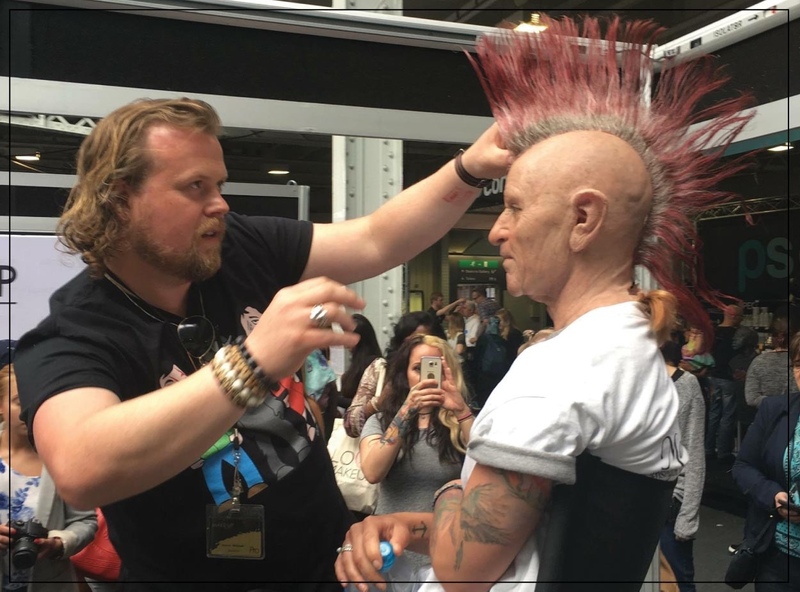 Andrew Whiteoak is very familiar with the Main Stage where he’ll be appearing for the 3rd time with his fabulous wigs for the main prosthetic application demo! He has worked in theatre, TV and feature film as a wigmaker, hair and makeup artist for over 22 years, having forged his skills at The Birmingham REP Theatre before embarking on a freelance career. This has enabled him to work on a variety of projects such as ‘Houdini and Doyle’, the final season of ‘Downton Abbey’, ‘The Exorcist’ stage show and the opening of ‘This House’ at the Garrick Theatre in London’s West End. His hair work can also be seen in up-coming Disney film ‘Beauty and the Beast’ due for release next year, for which he was part of the creature FX department.